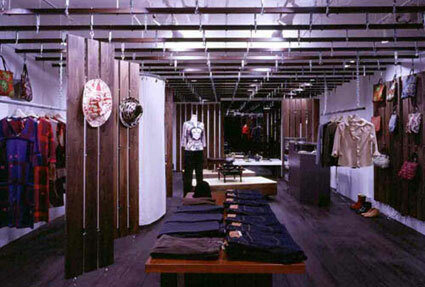 Located in Osaka, Charin is a hybrid shop of two functions ? 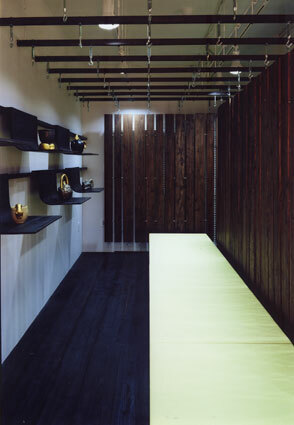 boutique and Chinese tea ceremony room.The space is not designed as a fixed interior program, but rather one that can change and adapt to the owners wishes and be used for a variety of activities. 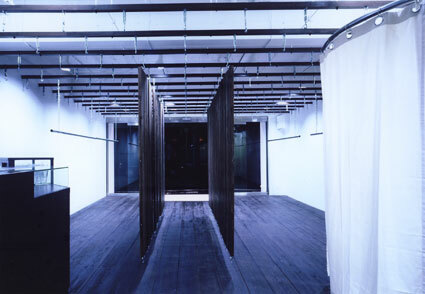 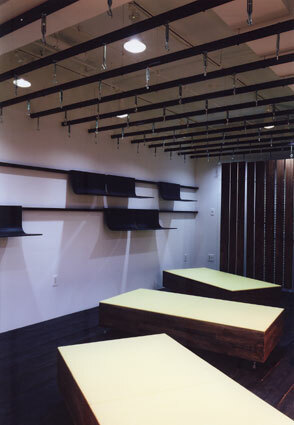 Hung on a grid-shaped turnbuckle system from the ceiling, cedar panels function as both partitions and display boards.They can also be moved freely around the space as function dictates.A curved plywood shelf is used to display products and exhibition material, and is constructed on the same flexible system as the cedar partitions. 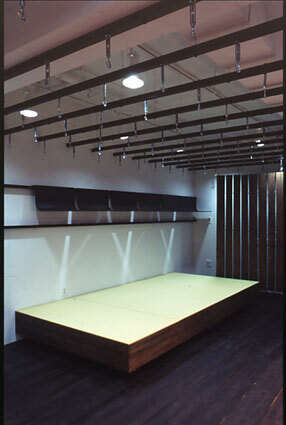 Tea is enjoyed on tatami stools that move freely about the space on casters.Each stool can be connected to another by a zipper system so that the number and layout of seating spaces changes with the number of guests and occasion. 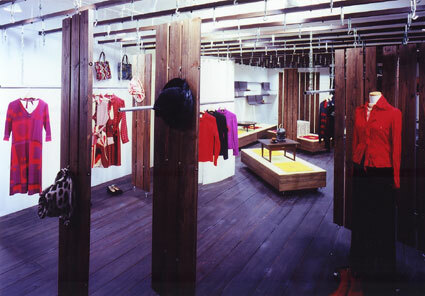 When I started this project, I was expecting a fixed interior design completed in a short time span.However, after conversations with the client about possible extra functions (gallery, exhibitions, tea parties, etc) I realized a fixed, absolute solution was not applicable.As time passes, the shop’s functions will change, and the shop needs to be able to change with them.As a result, Charin is an intentionally unfinished design that exists only in the present, so that the future can always be accommodated.